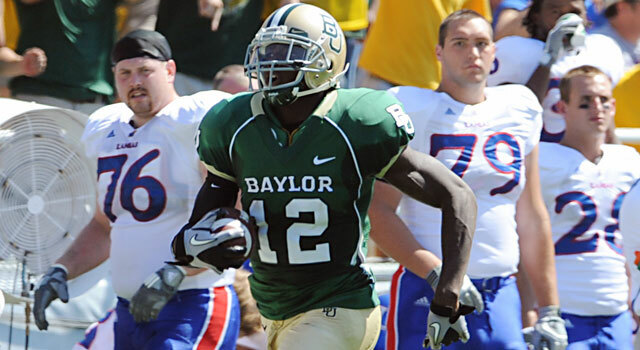 Published: July 13, 2012 at 12:55 p.m.
New Cleveland Browns wide receiver Josh Gordon had just two 100-yard games during his short time at Baylor. 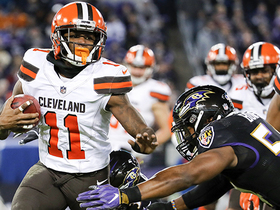 There's little doubt that Josh Gordon had a nice couple weeks showcasing his talent for NFL scouts. Otherwise, the Cleveland Browns wouldn't have burned a second-round pick in next year's draft to take the ex-Baylor wide receiver in Thursday's supplemental draft. 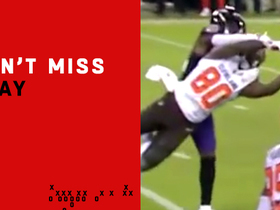 Still, questions remain: Was this a jumping-off point for a 10-year career as an NFL playmaker for Gordon? Or was it simply a guy straightening up when he had to, with millions of dollars on the line? Put another way, has Gordon really grown up, or was all this just a matter of how he showed up to evaluators? There's a wide range of opinion on how good Gordon can be. There's plenty of room to wonder whether he'll ended up harvesting his considerable potential. That makes him a fascinating prospect to insert into the rookie class of 2012. "It's very hard to find a comparable player," an AFC personnel executive said. "The off-field issues, you try and draw on those players like that who have turned into huge successes, and having those examples tends to give executives some peace of mind. I struggled to come up with a high volume of players that have had his amount of issues and done a 180. We'll see. The rest of it is up to the kid." 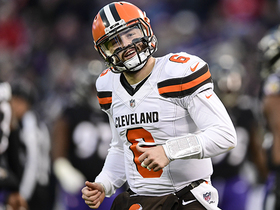 Gordon the football player is a project, which means the Browns have to trust his development will come. Like the AFC exec said, that is up to Gordon. The problem is that the reason for that stunted development falls squarely on the shoulders of the player himself. According to sources with four NFL clubs, Gordon failed three drug tests as a collegian. The first two came at Baylor. The latter, according to these sources, came after charges were dropped in his marijuana-related arrest of 2010, and that led to his dismissal from the Baptist school, which has a reputation for being tough on drugs. That led to his transfer to Utah, where he failed another drug test. Both the Browns and Gordon, through his agent, declined comment when presented with that series of events. The truth is it's not uncommon for players to enter the NFL with an off-field issue on their records. Where it becomes troubling, to scouts, is when it starts to affect the player's career. "It's just something where you say, 'Hey man, put [the marijuana] down'," said an NFC personnel director. "You never know which way they'll go when they get here. It's hard to know how important football is, and how important weed is to the kid. And the environment he goes into is important too. Then, it's how they mature through the process you put them through." Tight end Aaron Hernandez is one who has seemed to grow after carrying a truckload of such baggage from Florida to the New England Patriots, having had minimal problems and plenty of production as a pro. Conversely, running back Mikel Leshoure, another first-round type of talent knocked down the board for these types of reasons, has yet to prove he can shake the problems he had as a collegian at Illinois as a pro with the Detroit Lions. Your fantasy team plays in the NFL, so why don't you? Sign up to play the NFL's official free fantasy football game. Gordon voluntarily submitted to a drug test prior to Thursday's supplemental draft, passed it, and the results were made available to all 32 teams. He also took a Wonderlic and posted a respectable score of 24. He's handled himself well and convinced some that the problems he had in Waco and Salt Lake City are behind him. "I talked to a zillion guys at both Baylor and Utah," Browns GM Tom Heckert said on a conference call with the Cleveland media. "To be honest with you, I couldn't find anybody to say one bad thing about the kid. I really enjoyed meeting with him. It's something that is out there that we have done our homework on. To say we're 100 percent, we're not 100 percent on anybody in the draft, but we felt good enough that he's going to be a positive influence on our team." There are also significant questions about Gordon as a player, most of which can be linked back to his lack of a track record. He only posted two 100-yard games in college. He totaled four catches for 36 yards in games against Texas and Oklahoma, the cream of the Big 12 crop, in 2010. His athletic ability isn't in question. What that ability will add up to on the field is. "Take the background stuff out of it, let's talk about the player and his talent. He plays at just under 6-4 and at 220, that's hard to find, and does play with legit speed," an AFC college scout said. "I know he ran 4.52, but he plays like a 4.40 guy. â¦ The issue is those Baylor guys are tough, there's no playbook, there's a lot of route conversions. He's gonna be starting over from a fundamental standpoint. He doesn't know how to run routes, and he has some natural tightness." An NFC personnel executive called him "a straight-line guy." He agreed with the college scout who said Gordon would've gone in the late rounds if he'd been available in April. Others disagree. "I think all that stuff is fixable," the NFC personnel director said. "Some things he does better than (Justin) Blackmon. He plays faster than Blackmon, has a similar body type. He has better body control and is a more fluid athlete. The difference is, Blackmon's finished product. Think of it this way, say you get 20 reps running a specific route at game speed, and add it up. Think of many reps he missed. That's how far behind he is. And then you have to think of how far he can go." Asked if he stacks up with Blackmon or Michael Floyd, the 2012 draft's top two receivers, the NFC personnel man answered, "Physically, yes." And posed with the same question, the AFC personnel director said, "Floyd's a bit faster than him, he has similar speed to Blackmon. Both guys, Floyd and Blackmon, at this point, are better route runners than he is. And that's probably it. But yes, there are some common traits." That Blackmon's name was raised is interesting, too. He had a DUI in college that was roundly dismissed. Then before he even got to his first training camp with the Jacksonville Jaguars, he got a second one. That's why clubs are careful. No one in the NFL is trying to put together a church choir. But they know that a player's off-field problems can do wide-ranging damage. The difference with Blackmon is the Jaguars knew that he was, at least, able to manage whatever problems he had in college, stay on the field, and continue to improve, progress and give the NFL a full picture of who he was as a football player. Gordon couldn't do that in his three years at the college level. That's why, to so many clubs researching him going into Thursday, the picture was murky, and why he had to spend the last few weeks trying to clear things up with all those people. 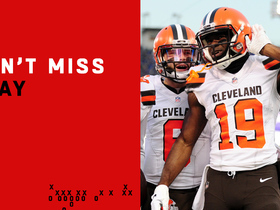 The Cleveland Browns bought that Gordon has grown up. But only time will tell whether or not that's truly the case. That part is up to him.